This earth tone bracelet is filled with warm colors of Jasper and brown Jade. Sterling silver leaf at the end makes a complimentary embellishment. Sterling silver toggle clasp. Approx. 8 1/2 ” L.
SKU: KD-B 53. Category: Bracelets. 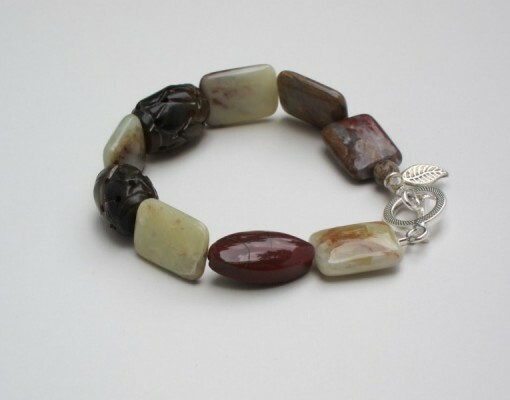 Tags: handmade, jade, jasper, sterling silver toggle.